There are a ton of podcasts out there, but finding the right one can be difficult. In our columnPod Hunters, we cover what we’ve been listening to that we can’t stop thinking about. 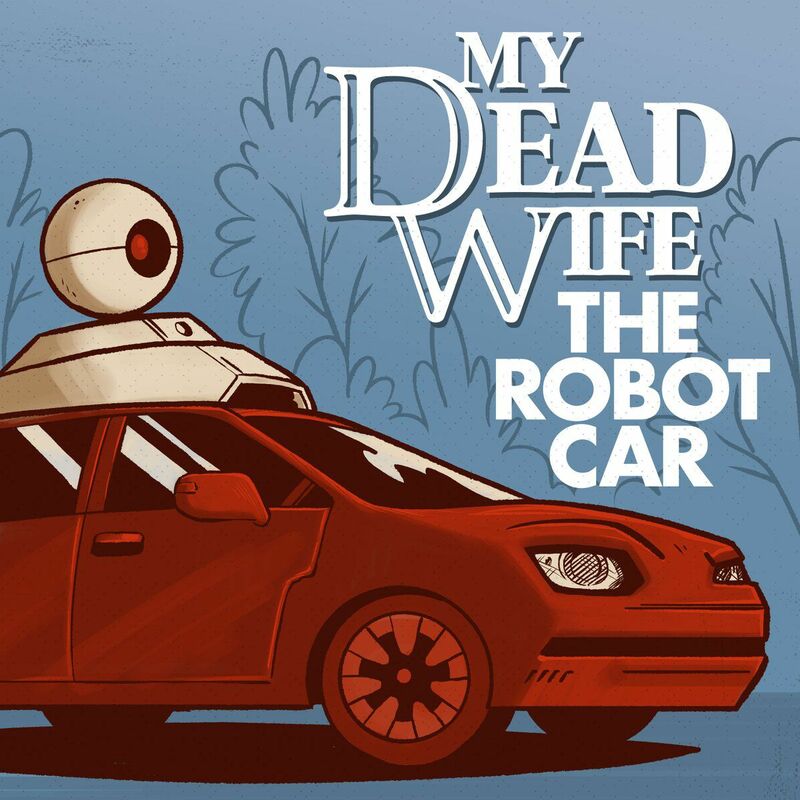 In the beginning of Stitcher’s new podcast,My Dead Wife, the Robot Car,a widower named Matt signs up with a mysterious tech company to work as a test driver for a new autonomous car. After a confusing introduction — the company rep won’t divulge any details about the company or even tell him his name — he’s set up in one a car, when he receives a rude surprise: the car’s AI is programmed to replicate his recently-deceased wife Joyce, whom he was about to divorce. The company pulled together a personality profile from Joyce’s video blogging and online presence, and based on their relationship, the company figured that Matt would be a good fit. Over the course of the series, it’s clear that they’re an incredibly mismatched couple, as they bicker back and forth. Matt is reserved and timid, while the digital version of Joyce is abrasive and continually pushes all of his buttons. In each episode, they get a text from the company that sends them on a particular test — drive to certain areas, figure out traffic, giving the former couple plenty of time trapped together. The series plays out as a frustrating relationship drama, but it’s also a fun satire on the data-driven world of Silicon Valley. Listen toMy Dead Wife, the Robot Caron Stitcher. Besser noted that he’s fascinated by the way that smart assistances like Alexa, Cortana, and Siri have “infected” our lives, imagining that those personalities will develop over time and change. He predicts that there’ll be instances where celebrities will license their voices and personalities for home operating systems (Mark Zuckerberg has already done this with his own house, with Morgan Freeman’s voice). He was also inspired by the current state of autonomous vehicles, pointing to the tech industry’s broad efforts to deploy and test the vehicles, and some of the high-profile missteps along the way. “The laws are trying to catch up with the technology — something bad happens, then the law changes,” he says, referring to a fatality in March when an Uber car struck a pedestrian.